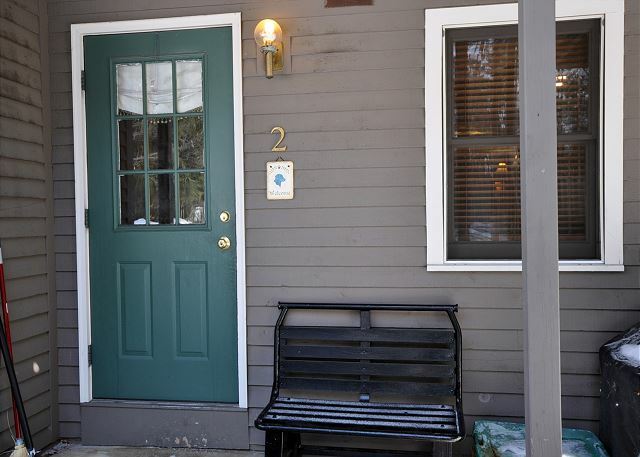 2BR Condo 1 Minute to North Conway Village! 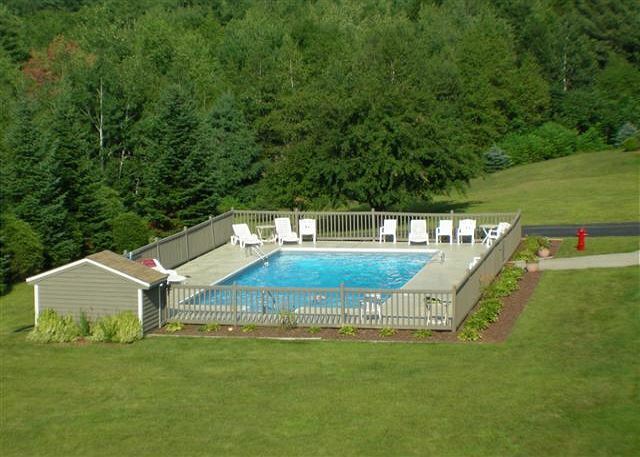 Views to Cranmore, Pool & WiFi! 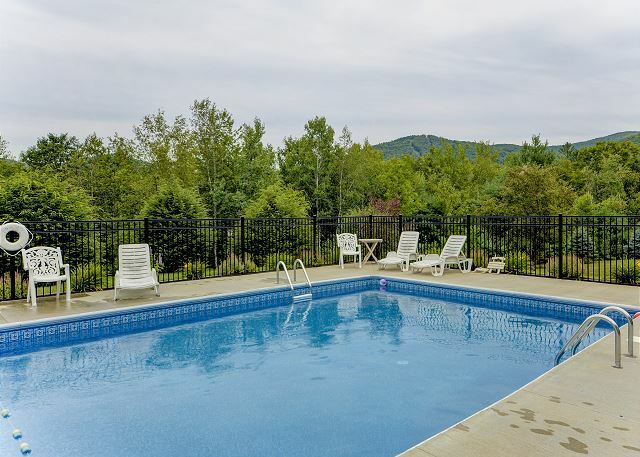 This 1st floor 2 bedroom, 2 bath condo is in a great central location: just 10 minutes to Storyland, 2 minutes to North Conway Village and abuts the walking/hiking trails at Puddin Pond. 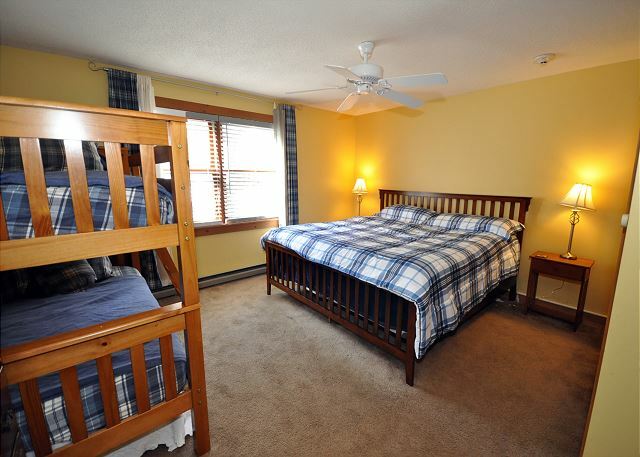 Features: Nicely updated kitchen, dining area, living room (with pullout sofa), deck with views to Cranmore, washer and dryer, full bathroom, bedroom with king bed and attached full bathroom and bedroom with king bed and bunk beds. This association has a strict rule prohibiting renters from using the pellet stove. Nearby Attractions for all seasons: Storyland (7.4 miles), North Conway Scenic Railway, Santa’s Village (48 miles), Tax Free Outlet Shopping, horseback riding, hiking, rock climbing, biking, river fishing, swimming, golf, canoeing/kayaking, scenic drives, Mount Washington Auto Rd, moose tours, ziplines, gondola rides, sightseeing, the scenic Kancamagus Highway, downhill skiing at one of the many nearby mountains, cross country skiing, snowmobiling, snowshoeing, tubing, ice skating and sleigh rides. our sons were able to ski at wildcat for $ 30.00. on sunday special. had a peaceful time after that. hoping to return in summer. most comfortable beds we have ever slept on. We had a wonderful time and the unit we stayed in was very nice and all we expected. Everything was perfect. We didn't expect so much ! We found the condo warm and inviting before we even opened the door. The lights were on, to welcome us, a very nice touch. 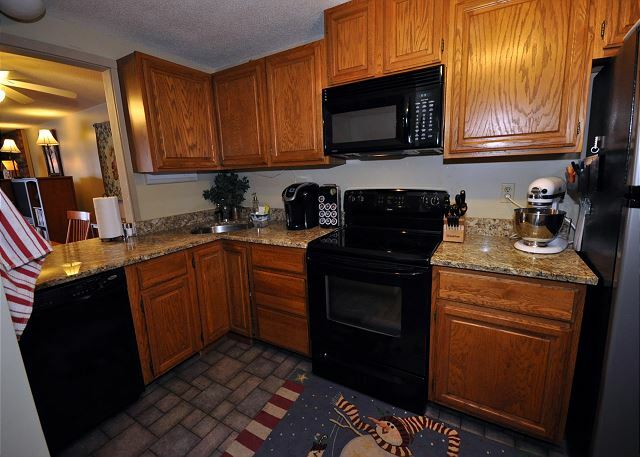 This condo had a well appointed kitchen with plenty of dishes. 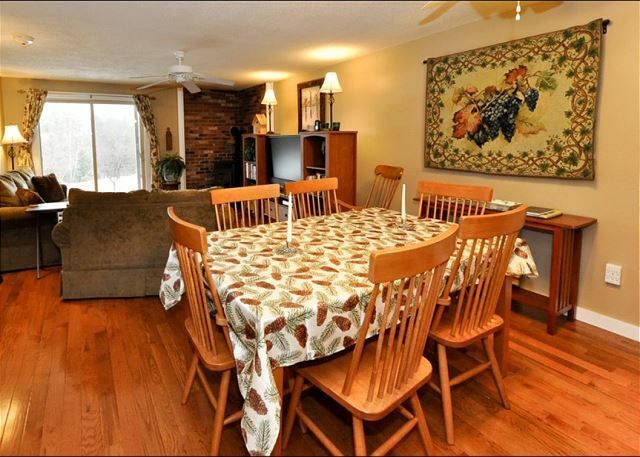 The rest of the condo was updated, and provided a perfect place for freinds from FL, VT, ME and NH to gather. 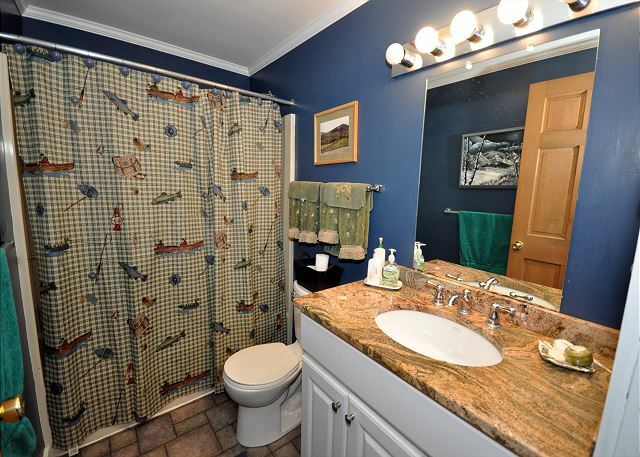 It was VERY clean and you could tell the owners took pride in sharing their home. It was great! 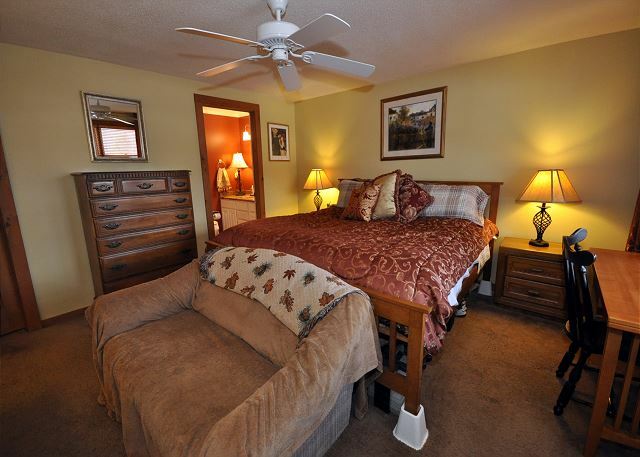 The property was clean and had beautiful mountain views of Cranmore where we skied. IT was close to North Conway center and easy to get to. Pinkham was professional and helpful through booking to leaving. I can't wait to go back to Northface Circle! 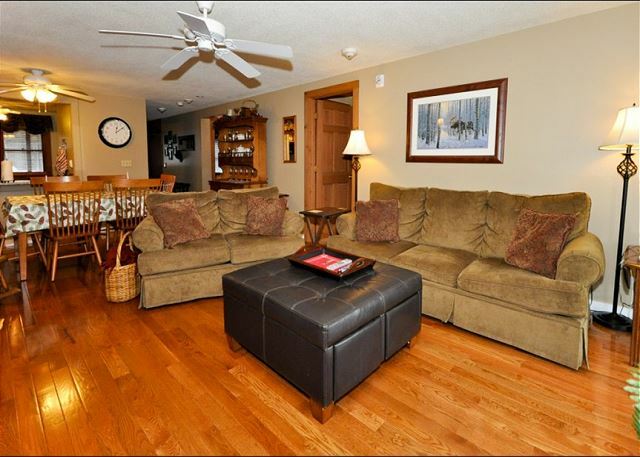 Property description was accurate, although we were surprised by just how 'homey' the condo felt! The owners obviously use it had all the comforts of home, from kitchen appliances and supplies, to the personal items which were available for us to use throughout. There were also very clear directions provided for anything we needed. 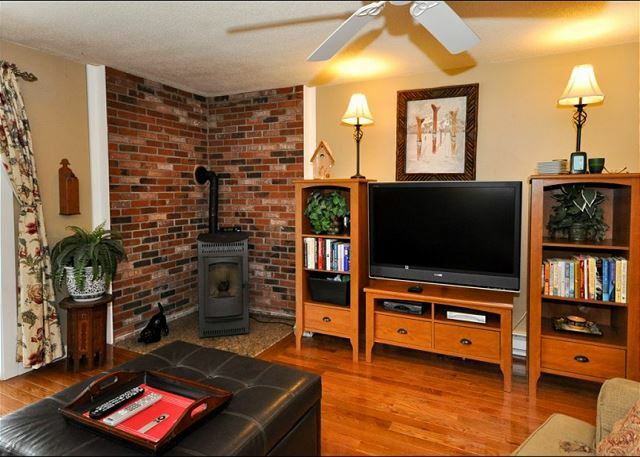 The unit was spotless when we arrived, lights on in anticipation of our arrival, and a warm fire in the pellet stove. The condo is just a very short distance off Rt. 16, but you would never know you are so close to a busy road, as the entire area was quiet throughout our weekend. 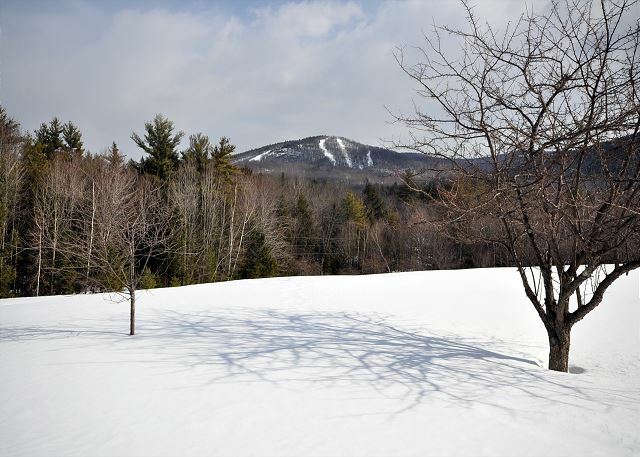 There is just so much to do in the North Conway area, from restaurants to shopping to skiing to simply taking quiet walks, there's no way to list all the opportunities. 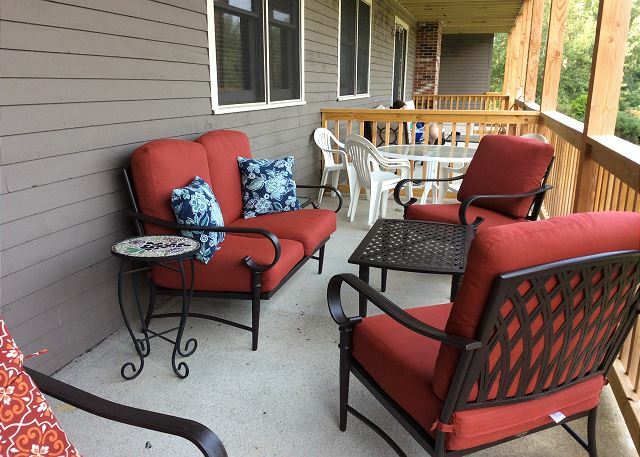 We would gladly recommend this property to relatives and friends. Oh...there's also a great TV. The weekend would have been absolutely perfect if the Patriots had only pulled off a victory...that was the only negative from the entire weekend! Great condo. It was brutally cold outside but comfortable inside! Great place. We have stayed here several times now and it is always nice and clean and we'll stocked! I am sure we will be back again!! The condo was clean and up to date. Anything we needed was right at our finger tips. The pool was great. They had games to play right at the condo and it was the best view right from the condo. Love staying here at Northface. The view is beautiful. It is so close to everything, yet tucked quietly back enough from the hustle and bustle of busy North Conway. Very peaceful.